(Fort Worth, TX) Lane Kommer, Senior Vice President in the Land and Investments Division at Henry S. Miller Brokerage, and Dan Spika, Executive Vice President of the Industrial Division, represented AMCAL Equities, LLC of Agoura Hills, CA, the buyer of 35.33 acres of undeveloped land in the Alliance Airport Area of Fort Worth. The property is located at 3295 Keller-Haslet Road. Ryan Turner, David Davidson and Ed Bogel of Davidson Bogel Real Estate represented the seller, Harwood Properties, LLC of Dallas. 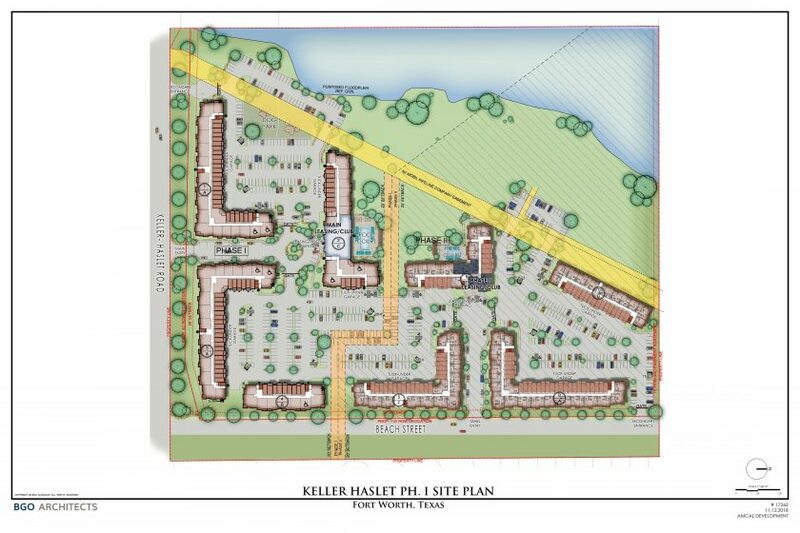 Plans call for a two-phased multifamily development. Construction of phase one’s 264 units is scheduled to begin in June 2019. The 256 units planned for phase two will not be constructed until the start of 2022. Each unit will feature stainless steel Energy Star appliances, open layouts, vinyl plank flooring in the kitchen, carpeted bedrooms and spacious closets. Lane Kommer, Senior Vice President of Investments at Henry S. Miller in Dallas, works with developers, institutions and high net worth clients on the purchase and sale of all real estate classes. He focuses on high-density redevelopment opportunities, bank REO assets, multifamily and land transactions. Lane is a Henry S. Miller Top Producer, a member of the Chairman’s Council, a D MagazineCEO Power Broker and a Dallas Business Journal Top Broker. Dan Spika, SIOR, Executive Vice President, is head of the Industrial Division for Henry S. Miller Brokerage. Mr. Spika received his Texas Real Estate Broker license in 1989 and has been a Top 10 Producer among all of Henry S. Miller’s brokers since 1995. Specializing in sales and leasing of office and industrial properties for buyers and sellers, he has valuable experience in investment sales of income properties as well as land sales. Mr. Spika has served on the Henry S. Miller Chairman’s Council since 1996.